It might be one of the most dreaded surgical procedures for patients just like you. Joint replacement has traditionally been known for its long and painful recovery time, but at the Miami Institute for Joint Reconstruction (MIJR), we do everything we can to properly evaluate your case, treat you with other conservative options if possible, and only move to the operating room when all other treatment methods have failed. Even then, our patients will benefit from the most advanced joint replacement techniques for the shoulder, elbow, hip and knee -- reducing pain and speeding your healing time. Recognizing that each patient’s joint replacement needs are different, we are committed to helping you enjoy your daily life as functional and pain-free as possible. 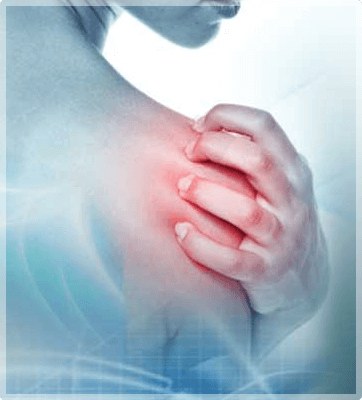 Many patients will live with chronic pain because they fear that seeing their orthopaedic surgeon with complaints of shoulder, elbow, knee or hip problems will automatically mean, “I have to have surgery.” At MIJR, we want you to feel welcome in our office to discuss each and every possible option with your physician. After a thorough examination, your board-certified doctor will talk with you, listen to your concerns and work with you to decide what’s best for you. When the time is right, and if surgery is needed, the team of physicians at the Miami Institute for Joint Replacement brings professionalism and unmatched credentials to the operating room, offering you techniques that are difficult to find in the region, like the anterior approach hip replacement that dramatically reduces pain and downtime for a faster recovery. Our minimally invasive techniques benefit you in several ways, including smaller incisions -- reduced from the traditional 8 inches to just less than 4 inches. The result? You heal more quickly and experience less pain. Our joint replacement services include minimally invasive surgical techniques and both partial and total joint replacement. We are proud to offer our patients the focused skills from board-certified orthopaedic surgeons who use the latest techniques to help ensure optimal outcomes for you. We offer a seamless continuum of care within our facility, including on-site physical therapy, to help you recover more efficiently following joint replacement procedures. For questions, Miami Joint Replacement specialists welcome your call at (305) 595-1317 or you can request an appointment online.